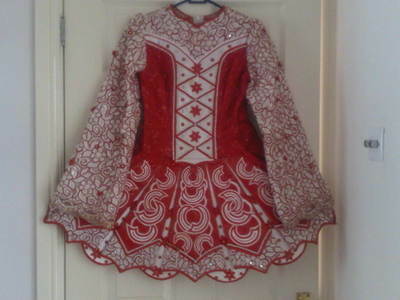 Lovely Red and White Costume worn by multiple WMH. Designed By Shaunna. Red chiffon with inset floral pattern and glitter effect. 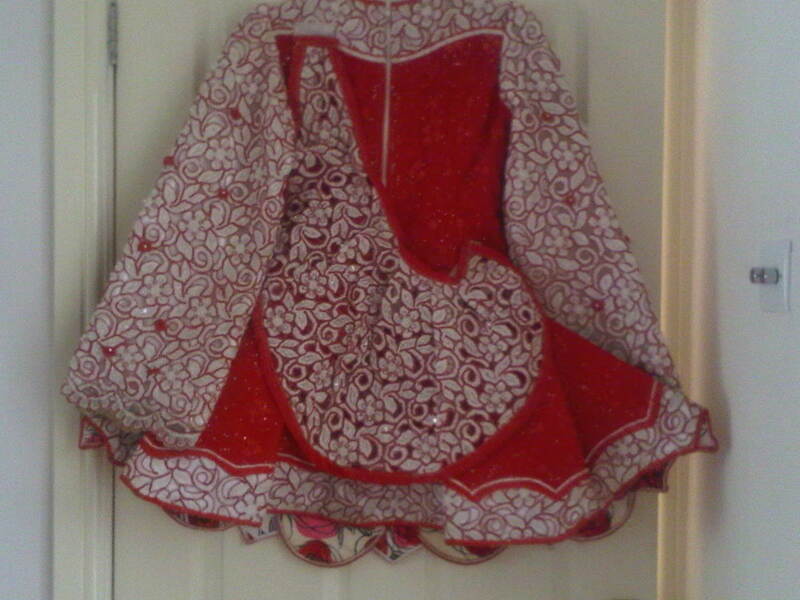 White open weave floral lace outlined in red with lots of pearls and swarovskii crystals over satin. Diamante beading to main outlines on patterns. White celtic pattern on five panelled skirt. 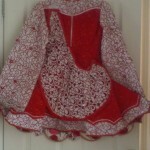 Red and white floral lining. Lovely Costume with lovely stage presence. Asking Price: £200 ONO. Shipping costs not included. Sale is final.